First introduced in the film Bride Of Chucky, Tiffany was the devoted girlfriend of killer Charles Lee Ray before his soul transferred into the 'Good Guy' doll that would come to be known as Chucky. 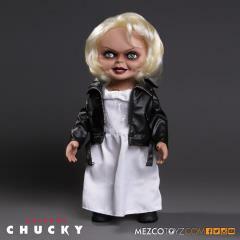 After Chucky ended up in a police evidence vault, Tiffany used her feminine wiles to rescue him. When Chucky electrocutes her in a bathtub, he transfers her soul into a bridal doll. 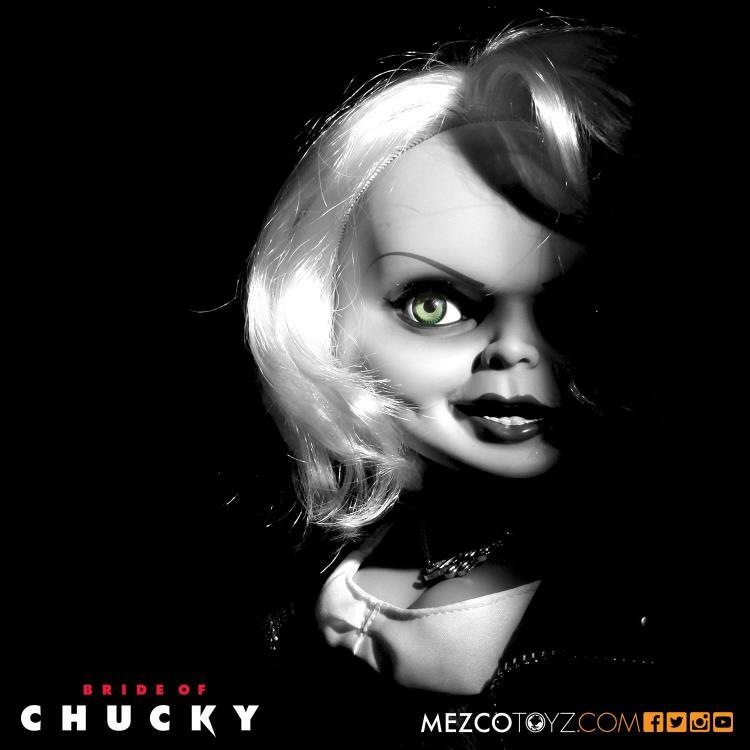 Now trapped in a doll body, Tiffany joins Chucky on his quest to find the Heart of Damballa, the amulet that can transfer their souls into human bodies. Tiffany is perfectly screen-matched from her bleached-blond hair to her black work boots. Dressed in her bridal gown with "leather" jacket, she comes complete with her TIFF necklace, tattooed décolletage, and lacquered fingernails. Just as verbose as she was in Bride Of Chucky, Tiffany has lots to say. She speaks six phrases direct from the film, activated by a discrete button on her back. Tiffany also features realistic glass-like eyes and nine points of articulation.